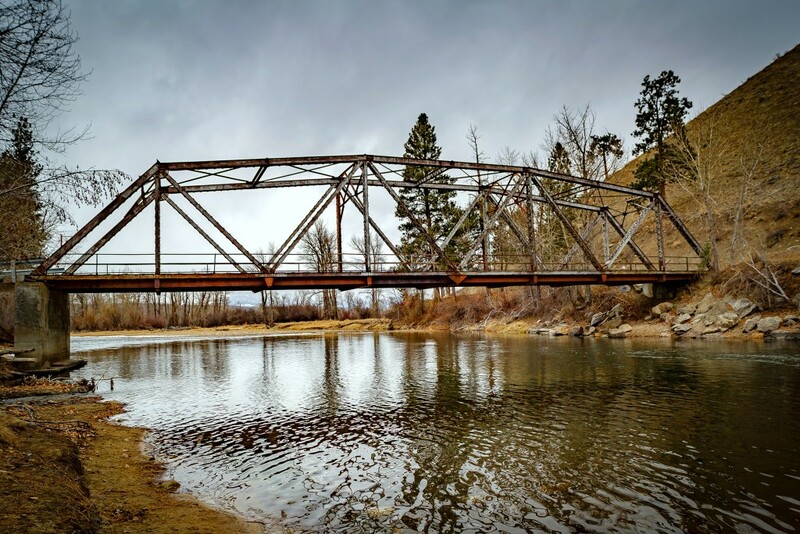 Winter snow in the mountains translates into spring, summer and fall waterflows in our rivers. So, we keep watch on the snow levels. 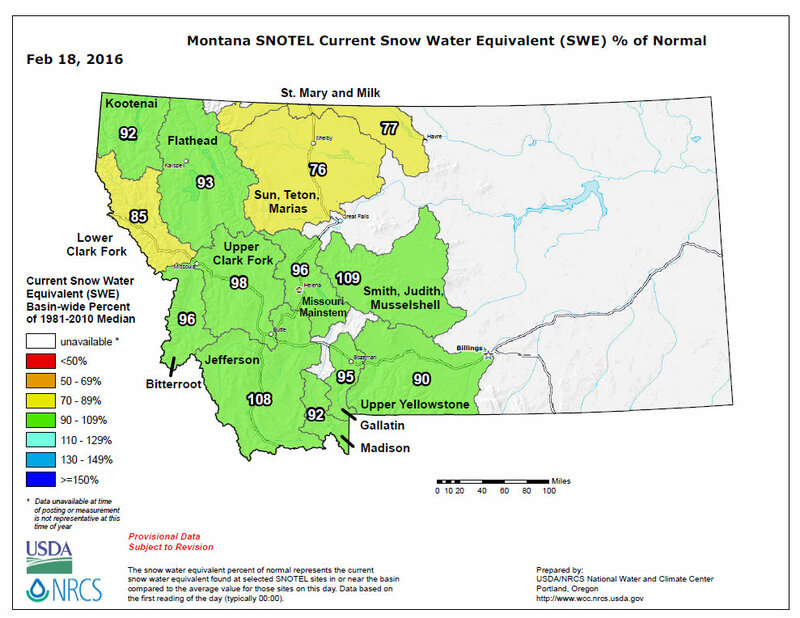 We actually had a good snow accumulation in Dec 2015 and Jan 2016. It is still precipitating in February, but the temperatures are above average. 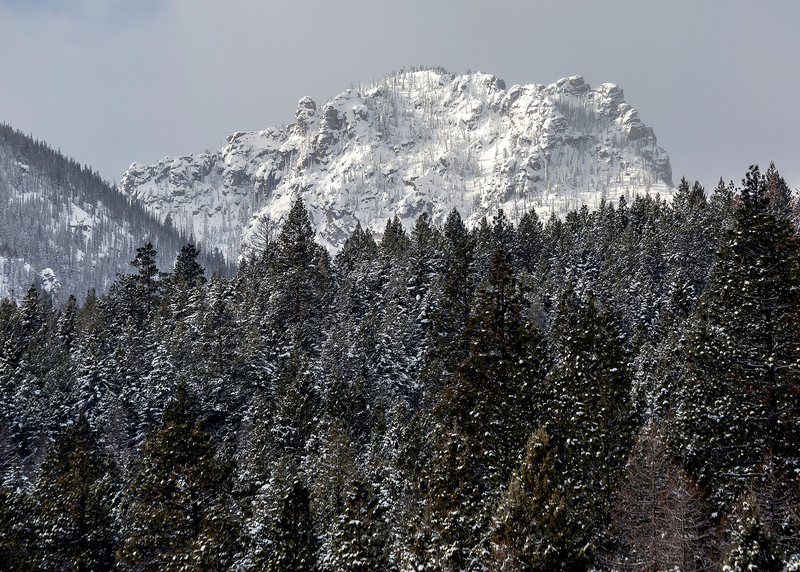 Good news, still a good snow pack. Today I am posting some info on our current snowpack in Montana and a few photos from the mountains and Bitterroot River. 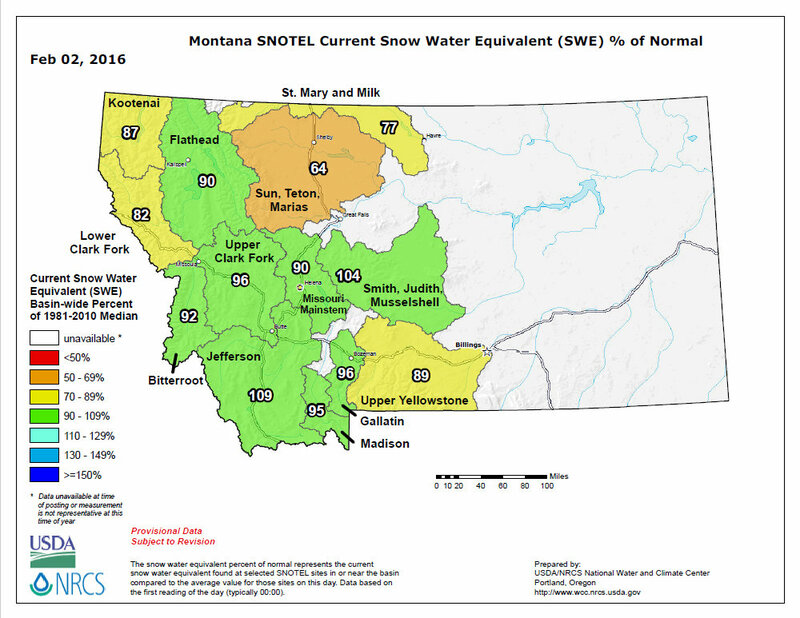 Below are Snowtel data maps for Montana in Feb. You can see that our snowpack has increased in the last two weeks. Great news.